BBC Business Daily on “essay mills”. Apparently 7% of students use these? Got 8 results on the survey so far! Add query on place/space/channel(?) terms to find post. It could be an iteration until the one post that returns the most terms is found. This entry was posted in Phil, Python, research, Talks on March 26, 2019 by pgfeldman. 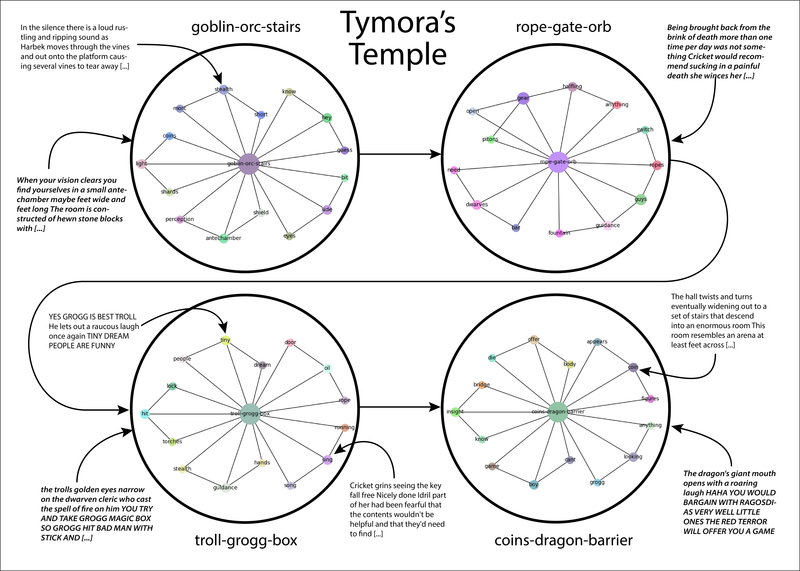 Need to make a survey for past players asking them if a map would have helped, and what kind of map? This entry was posted in Phil, Python, research, Talks on March 25, 2019 by pgfeldman. Are conspiracy theories what mysticism looks like when it adopts the trappings of rationalism? Downloaded the new Slack files. Had to handle the presence of gifs, and a few other db issues. Everything continues to look good. Working on building the table, then the map. Here’s the first shot. This entry was posted in Phil, Python, research on March 24, 2019 by pgfeldman. I would like to discuss a couple of papers on generalizability and complexity measurement of deep learning models in the post. Hopefully, it could shed light on your thinking path towards the understanding of why DNN can generalize. I need to build a set of panalyzers that are room/channel specific. Done! Comparing the counts of place and space terms will (hopefully!) show the movement of the channel population between splits (splits should be similar across channels), and the actions (spaces) that are explored in each space. 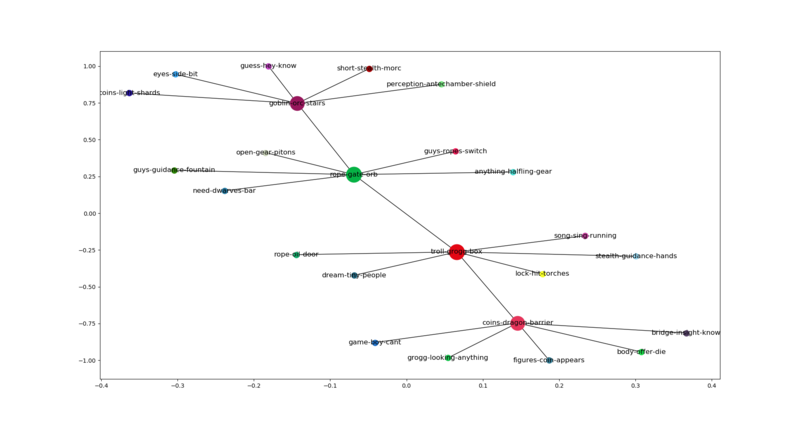 I think I can get this by just using the top-n common terms to identify the rooms, and the top-n (excluding room terms) for each splt-chn panalyzer. These room terms are the identifier (row label), and then each column is a different group, which gives us a set of 4 room nodes from which link to action nodes. Take that and output to graph? Refining the table and graph can be done by finding embedding neighbors. Statistical difference in the populations of place terms within each split and within each channel. What is the math that we use to show spaces? Or do we just show that they are different from the place populations? This entry was posted in Phil, research on March 23, 2019 by pgfeldman. Morning thought – primordial movement is navigation at a more generalized level. At this level, only broad features are visible, so it’s only easy to jump to a large, common feature like fear-of-the-other. For humans, I think there are very few accessible features at this level. With public and academic attention increasingly focused on the new role of machine learning in the health information economy, an unusual and no-longer-esoteric category of vulnerabilities in machine-learning systems could prove important. These vulnerabilities allow a small, carefully designed change in how inputs are presented to a system to completely alter its output, causing it to confidently arrive at manifestly wrong conclusions. These advanced techniques to subvert otherwise-reliable machine-learning systems—so-called adversarial attacks—have, to date, been of interest primarily to computer science researchers (1). However, the landscape of often-competing interests within health care, and billions of dollars at stake in systems’ outputs, implies considerable problems. We outline motivations that various players in the health care system may have to use adversarial attacks and begin a discussion of what to do about them. Far from discouraging continued innovation with medical machine learning, we call for active engagement of medical, technical, legal, and ethical experts in pursuit of efficient, broadly available, and effective health care that machine learning will enable. 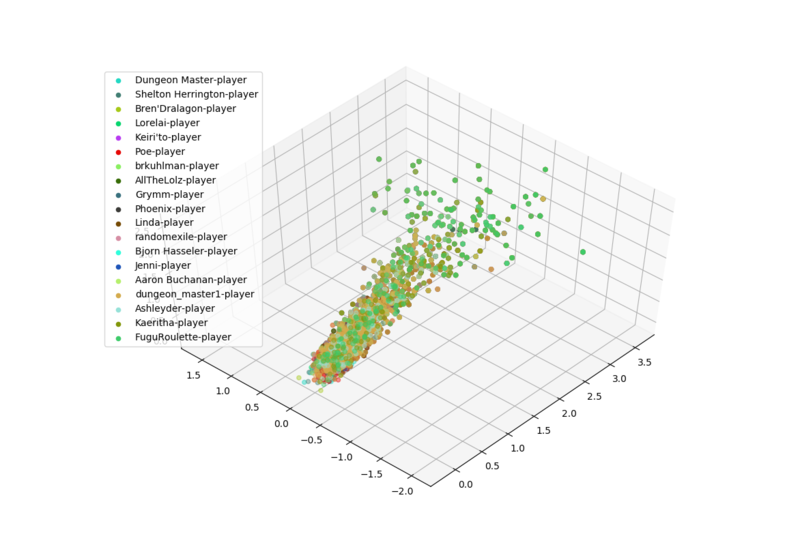 This entry was posted in Lit Review, Machine Learning, Phil, Python, research on March 22, 2019 by pgfeldman. 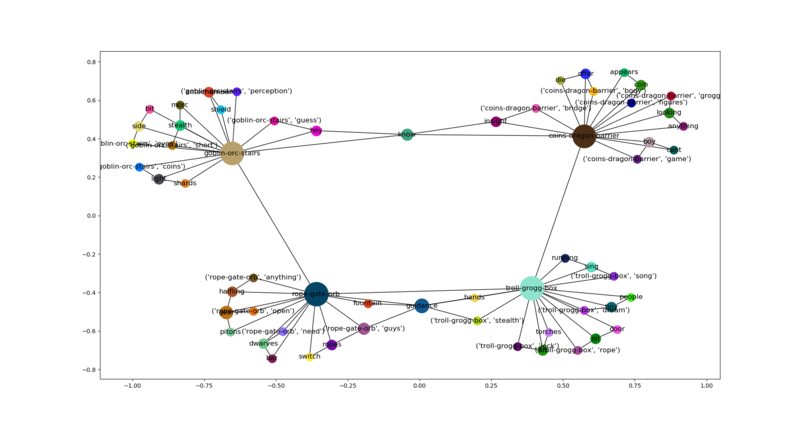 In this recipe, we will create a graph in Python with NetworkX and visualize it in the Jupyter Notebook with D3.js. 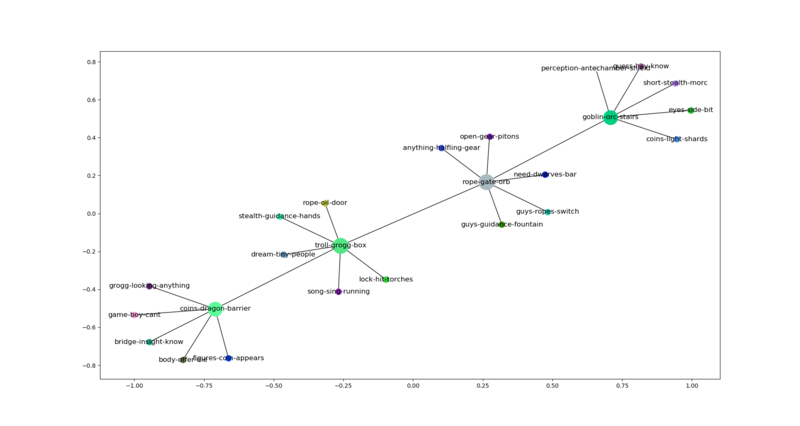 Bokeh is an interactive visualization python library that targets modern web browsers for presentation. Its goal is to provide elegant, concise construction of versatile graphics, and to extend this capability with high-performance interactivity over very large or streaming datasets. 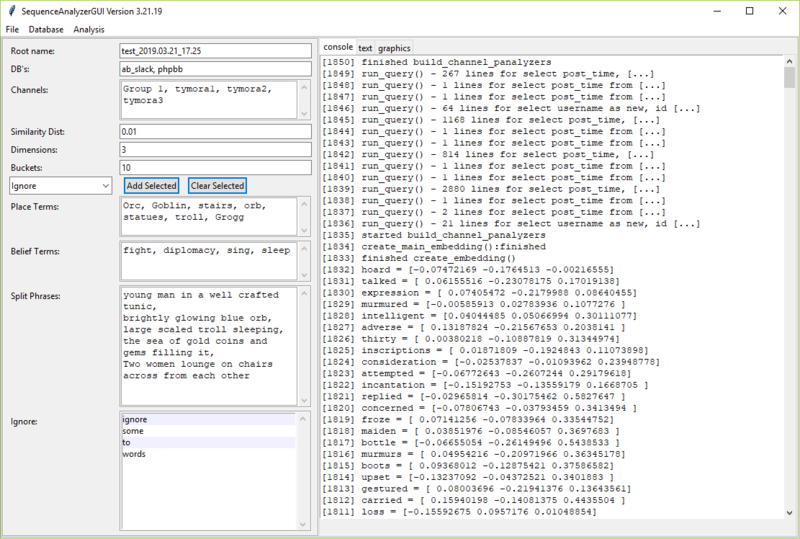 Bokeh can help anyone who would like to quickly and easily create interactive plots, dashboards, and data applications. 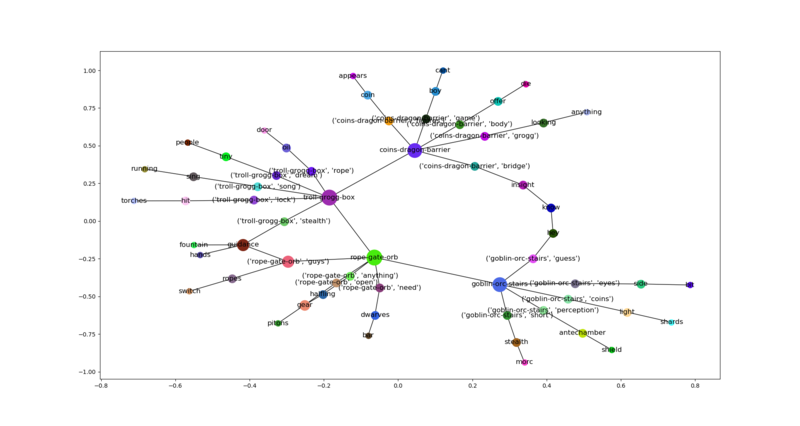 Bokeh has added native support for creating network graph visualizations with configurable interactions between edges and nodes. Got the BOW terms out of all the panalyzers. 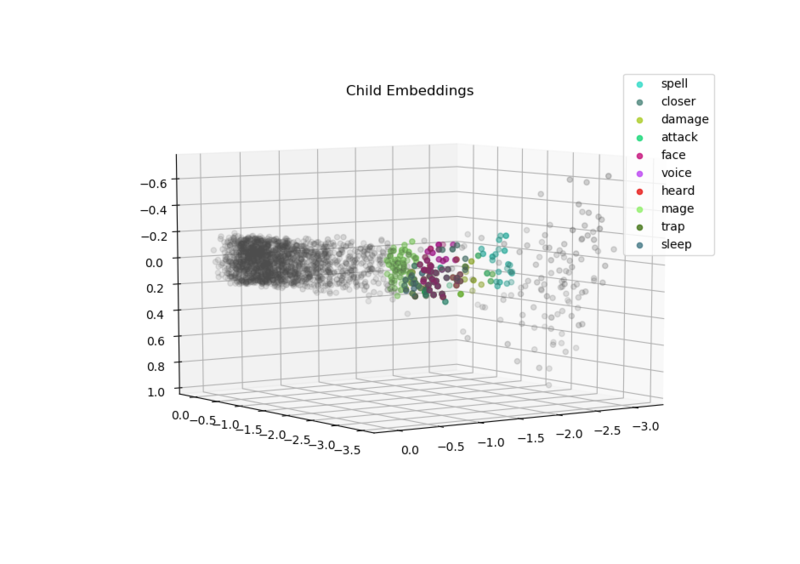 I just realized that I can plot the space and place terms in the same way, which should make some nice figures in the paper. 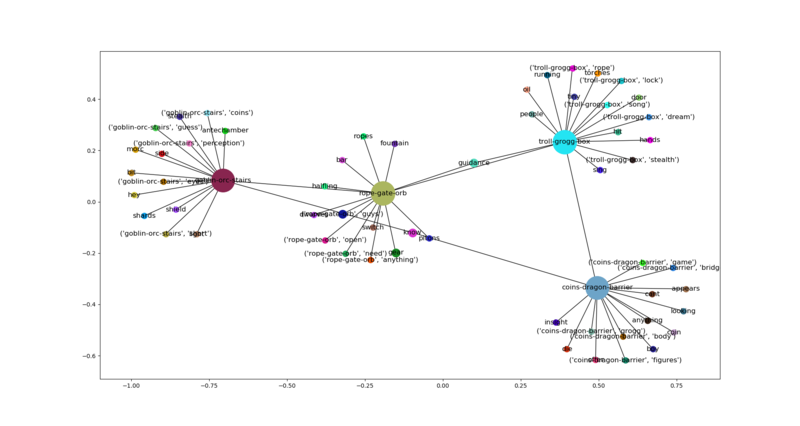 Here’s a plot of the different groups. Note that it is much wider. Something happened? This entry was posted in Lit Review, Phil, Python, research on March 21, 2019 by pgfeldman. We develop a general game-theoretic framework for reasoning about strategic agents performing possibly costly computation. In this framework, many traditional game-theoretic results (such as the existence of a Nash equilibrium) no longer hold. Nevertheless, we can use the framework to provide psychologically appealing explanations of observed behavior in well-studied games (such as finitely repeated prisoner’s dilemma and rock-paper-scissors). Furthermore, we provide natural conditions on games sufficient to guarantee that equilibria exist. I pointed back to the original JuryRoom document’s strawman representation of the schema. This entry was posted in Phil, Python, research on March 19, 2019 by pgfeldman. 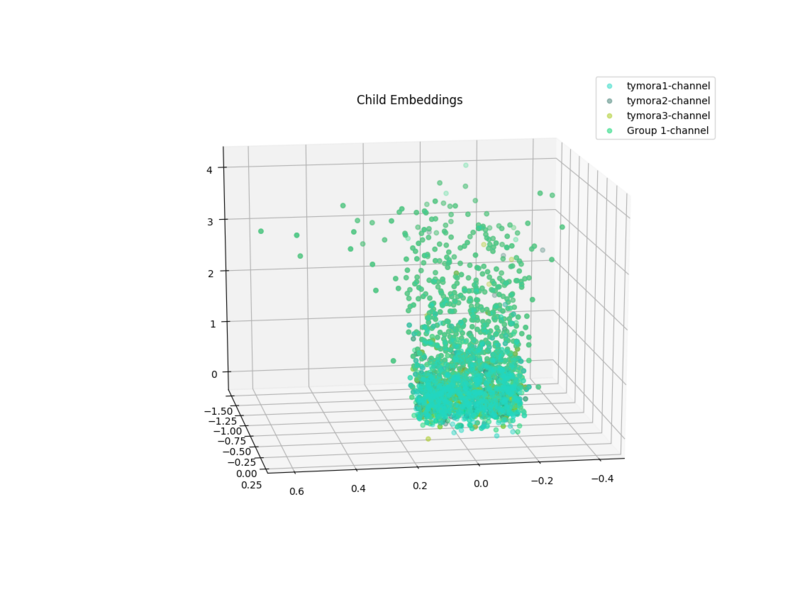 Got a really good idea about doing a hybrid coding model using embeddings. We start with a list of “place terms” and a list of “space terms”. We then use the embedded representation (vector) of those terms to find the adjacent terms. This is a sort of automated “snowball sampling”, where terms can lead to other terms. Once we have these terms, we use them as queries into the database to find the campaign and the timestamp for each. We use these to create the trajectories and maps. This is a pretty straightforward code and a set of queries to write, and I have high confidence that it will work, and provide a novel, understandable method of producing a nice ‘mixed method’ process that is also grounded completely in the corpora. This entry was posted in Phil, Python, research on March 17, 2019 by pgfeldman. This entry was posted in Phil, Python, research on March 16, 2019 by pgfeldman.